This should have been posted last month, but personal events have kept me away from the site. I’ve touched upon the topics of this blog post in parts of other postings over the past few months. However, I wanted to put it all here so that it isn’t so scattered about the various posts on this site. I had an original draft of this post, but had to revise it a number of times due to changes occurring in the process of composing this piece. I would like to expand upon things that I haven’t mentioned previously and how this all ties into the Trump administration’s policies on the middle east. There may be a status quo now, but that’s all going to change in the near future. 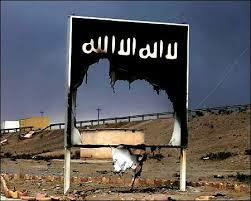 The Middle East, as most know, is in a state of chaos save for a few exceptions. 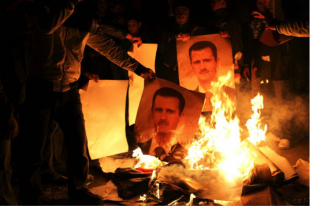 Syria continues to suffer through a devastating civil war, the Iran deal is on the verge of collapse, oil prices are about to sky rocket and ISIS’ defeat is at risk of postponement due to the miscalculations of the Trump administration and the western world. If you want to look to a sole instigator of problems in the region (besides the obvious saber rattlers in the US and Israel), the attention should turn to the corrupt nation of Saudi Arabia. 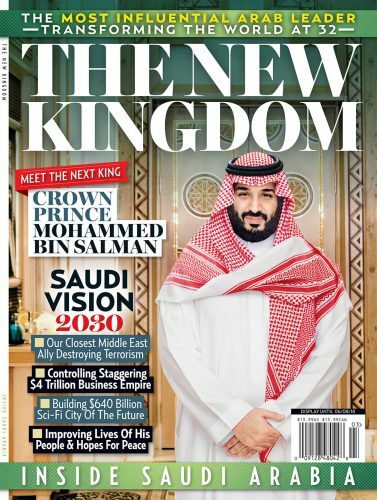 Under its new king to be, the prince Mohammed bin Salman, Saudi Arabia has undergone an extensive PR blitz to rally for a war against Iran and to improve its own image abroad in spite of its numerous scandals (financing 9/11 attackers, murdering gay people and arbitrarily arresting citizens among many, many others). Such moves are designed to rally the world in its favor of the conflict and against that of its enemies in a proxy war of Shiite and Sunni Muslims. Such a battle between two Middle Eastern super powers would cause world war 3, but as warned in an earlier post this year, no war is coming for the foreseeable future. Conditions are not ripe in terms of alignment of interests and there’s too much opposition to such a war at this time. What will result in this rallying for war will be a counter revolution that will end up blowing up in Saudi Arabia’s face in the near future. While war will not happen (in spite of more dangerous escalations in Syria and Yemen), what does come about is creating anger in the Arab street over Saudi Arabia’s unpopular actions and policies. Those who believe that important domestic issues and the Palestinian cause can be sidelined to unite for war against Iran are deluding themselves. 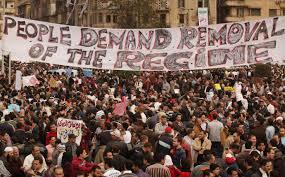 As a result of the anger, uprisings begin in Egypt and Jordan this summer. They quickly spread to Lebanon, Qatar, the UAE and ultimately land on Salman’s doorsteps in Saudi Arabia. When such violent uprising proves to be unstoppable without a strategic change, it forces decisions in Middle Eastern governments to back off the selling out of the Palestinian cause that has been eagerly laid out by Trump officials and the end of fostering their new found ties to the Israeli government. These uprisings also see major victories for the Iranian government that came to them (undeservedly, mind you) because of arrogance from the United States and not due to some moral victory of their own. While the tensions heat up in most of the Arab world this summer, the real boiling point of conflict occurs in the Palestinian territories. 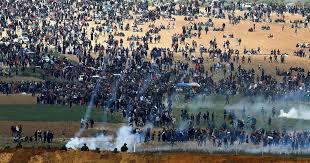 Already, the Right to Return march has attracted large amounts of attention and an extremely high death count as a result of the world’s complicity to the illegal occupation by the Israeli government. 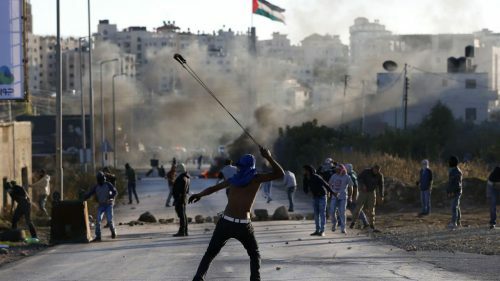 A Third Intifada is inevitable at this point, there’s no other way around it. 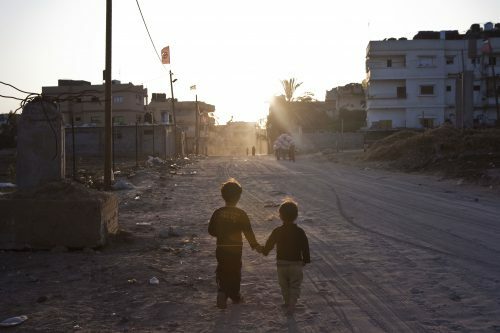 No two state solution is coming and the despair is being seen in the streets Gaza and the West Bank. The embassy move from Tel Aviv to Jerusalem this month serves as the spark that lights up the territories (and it will, despite protestations to the contrary) when a combination of a collective sense of having nothing to lose, further Israeli military aggression and weak Palestinian leadership ignite a flame in the Palestinian public that will not go out. A new conflict between Israeli and Palestinian forces sees massive casualties, but noticeably large casualties in Israel. It will rise due to accompanying attacks from Hezbollah in Libya and air strikes from Russia against Israeli military facilities. This comes in retaliation to attempts by Netanyahu to oust Assad from power and his provocations of war with Iran in the region. The US is forced out of the conflict early on in fear of needing a military draft to adequately send troops to fight in the conflict. Such moves will completely destabilize the whole region, but serve to resolve the long standing conflict of Sunni vs Shiite once and for all. In the ashes of this final intifada, many changes will emerge throughout the entire Middle East. The crown prince of Saudi Arabia is thrown out due to his major policy failures. The Iranian government is exhausted of its funds, leaving it vulnerable to crippling sanctions imposed once again by the United States. Israel is badly damaged in both its military capacity and its public relations empowering the BDS movement even further to force changes on them that they would normally never agree to. Hamas is destroyed, seeing the Palestinian Authority retake the embattled Gaza strip. Mahmoud Abbas passes away from the stress of another intifada officially killing the two state solution when no acceptable leadership is allowed to step forward to replace it. The wake of this series of conflicts is a region with less US influence than before and some semblance of peace coming into the next decade. It means the likely end of the Saudi monarchy and the end of Israel as a Jewish state. It will also be a net positive as I stated years earlier, the region begins its own renaissance of political thought and artistic achievement that will surpass an increasingly oppressive western world. Most won’t like the results on the ground to get to this point, but there is no other way around the inevitable. If you are living in the region, hang on for the ride. It will be bumpy, but better for everyone when all is said and done. I feel bad that I didn’t post many predictions for April. There have been things in my personal life that I’ve had to attend to and I’ve also been discouraged by Google’s continuous repression of our viewership numbers. Karma will get them soon enough, mark my words. In the meantime, here’s a prediction to share. Be on the lookout for long overdue blog posts as well. 1) Donald Trump is likely to be announced as a Nobel peace prize winner. He won’t ever make it to the ceremony as his dismantling of the Iran deal, coupled with outrage from members of the board, sees the award pulled before it is issued. This infuriates Trump and sees a long Twitter meltdown occur as a result. 5/5 ETA: Happy Cinco de Mayo. I got this message from a dream and thought it was worth sharing. 2) I had a dream of an African immigrant from Australia talking about the police state in the United States and how she was fortunate enough to avoid it. She told me the story of a neighbor of hers whose husband was a cop and how he was harassing her in a similar way that black people in the United States were harassed. It got so bad that she conjured a spell from who she described as “the ancestors” and it caused the cop to suffer a life of misery and decay leading to homelessness and death. She believed that although she couldn’t cast this kind of spell on a large scale basis, she believed this magic from her African ancestors was key to dismantling the police state in the US. I don’t know how credible this message is, but I had asked in prayer for a sign the night before and this seems to be it (there might be more and I’ll post about it here if there is). Hope this message gets to its intended audience. It’s very much needed at this time. 5/12 ETA: I’ve been away for a number of days, but I’m back now. I won’t be as active for a while and I’ll explain why in my second blog post for the month. In the meantime, here’s another prediction to share with you all. 3) The issue of homelessness and poverty will be another dividing factor between corrupt Democrats and their naive base heading into the fall election. The base will want to see action taken while the Clintonites will see this as a communist plot. This will see problems for Democrats heading into the fall leading into a crisis for the 2010 presidential election. 5/30 ETA: I won’t get that second blog post up for this month, but it should be ready in the second week of June. In the meantime, here are some predictions to share. 4) As much as many other psychics may feel otherwise, I feel that evicted homebody Michael Rotondo is a victim of a vicious media attack on the Millenial generation that ignores the roots of our economic inequality and a major housing crisis nationwide. In spite of my feelings on the larger issues at stake, I do believe he will leave his home peacefully and manage to find a place of his own in due time. However, his parents, who brought him through the ringer, will not end up so lucky. They will see their only other child die and tragedy strike to the point where their lives will be in his hands. The end of their years in a nursing home will not be pleasant and they will regret this fiasco when reflecting on it years down the road. 5) We’ll be seeing a push for more gay inclusion in the media on the heels of the Oscars So White and Me Too movements. It will make a difference for a number of people who have yet to get their big break. 6) Scandal will arrive on Lorne Michaels’ doorstep leading to his ouster from Saturday Night Live by the end of the next season. 7) Comedian Amber Ruffin is about to take off in a major way. Watch for her in the near future.